Development of the central nervous system (CNS) is remarkably complex and only now are we beginning to unravel the detailed mechanisms underlying the morphological processes that have been described by embryologists for decades. That this complex process should on occasion fail should not be surprising; that the process proceeds in a normal fashion in most conceptions is a reminder of the wonderful complexities of nature. 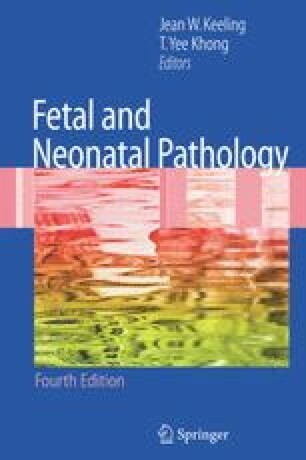 The actual incidence of CNS malformations is diffi cult to assess, as CNS development begins within 15 days of conception. Malformations at this stage are likely to be lethal, resulting in embryo death. However, it has been estimated that up to 10% of stillbirths are affected by a CNS malformation and that about 5% of early neonatal deaths are related to CNS malformations (Harding and Copp 2002).